Cycling Ulster are pleased to announce our recommended new event safety signage supplier is Graphic Answers. After an application process from various companies, the Tandragree based outfit have agreed to supply Cycling Ulster affiliated clubs with Correx signs and Aluminium signs at a cost of £7 and £9 per item respectively. “Graphic Answers have been supplying a range of services to the local community for more than 10 years and they have an impressive portfolio. 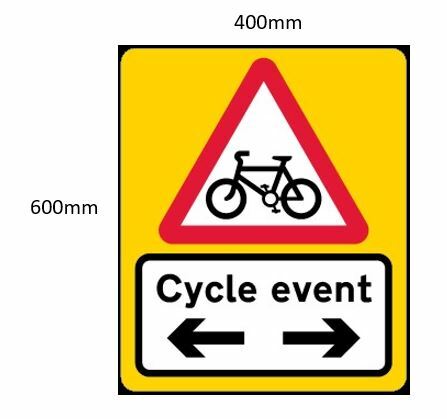 These signs meet the requirements that have been agreed with the PSNI to be used in all road races that have multiple laps and all road time trials. Cycling Ulster clubs should contact Graphic Answers directly (contact details below) to order supplies of the new signs.